The BBCLP is a 501(c)(3) non-profit organization "charged with the mission to present, document and archive the creative work of significant living writers and musicians in the San Francisco Bay Area, for a neighborhood audience and future generations." In other words, we're lucky to be living in a rich cultural environment here in San Francisco, and this gives us the opportunity to support those who perpetrate the cultural activity that makes it so, while giving you the opportunity to soak it all up! But that takes funding as well as a lot of labor week in and week out, and in case you hadn't noticed, we also have a bookshop to run! Donate and volunteer! And give us your feedback. We want nothing more than to make it better year after year! Established in 2007 to take over responsibility for an ever expanding slate of cultural programming at the bookshop (est. 1999), the BBCLP presents two live concert series each week, poetry readings twice a month, and many other cultural programs, and also publishes Amerarcana, an annual literary review, now in its second issue. The BBCLP depends on individual as well as institutional support. All donations are fully tax-deductible. To express its appreciation, the bookshop extends a courtesy discount to all those who've donated $50 or more in the past year. Please help us keep the arts alive and thriving! 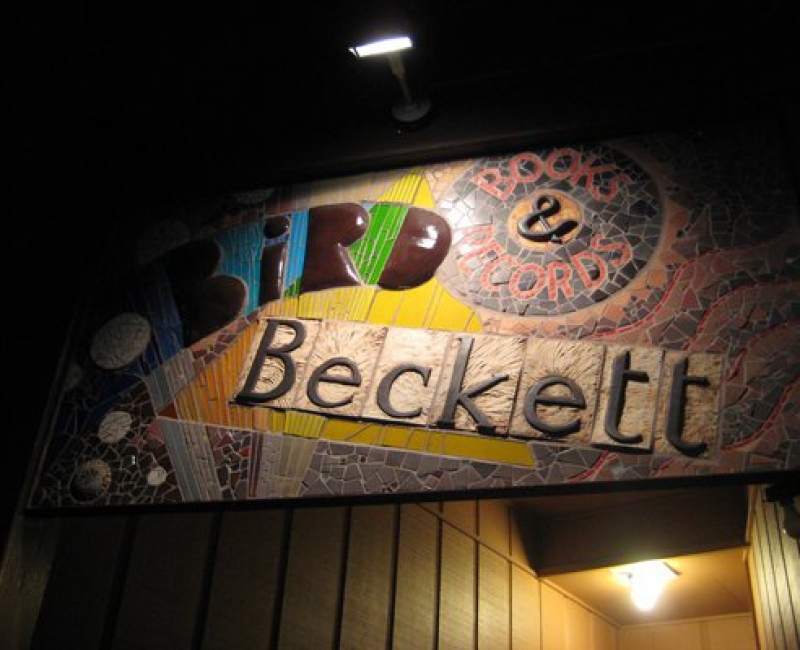 Come down, or mail a check to the Bird & Beckett Cultural Legacy Project, 653 Chenery Street, San Francisco, CA 94131. Billy Berg Circle (up to $99) Named in honor of Los Angeles nightclub owner Billy Berg, who contracted with Dizzy Gillespie to bring a bop sextet including Charlie Parker (aka "Bird") to the West Coast in December 1945. Signifying the Bird & Beckett Cultural Legacy Project's commitment to presenting important performers and writers to appreciative audiences. Sappho Circle ($100-499) Named for the Greek poet (ca. 600 B.C. ), whose crystalline work has come down to us in time-burnished fragments through the efforts and care of countless scholars. Signifying the Cultural Legacy Project's commitment to keeping the creative contributions of our writers and musicians from being lost in the recesses of time. Paulo Freire Circle ($500-999) Named for the revolutionary 20th century Brazilian educator and humanist, whose theories of pedagogy have been critical tools in the ongoing struggle for human liberation. Signifying the Project's commitment to the notion that education in our shared cultures makes us all stronger, more respectful of ourselves and each other, and more human. Saraswati Circle ($1,000 & up) Named for the ancient Hindu goddess of knowledge, music and the arts. Signifying the Bird & Beckett Cultural Legacy Project's respect for the sacred nature of human endeavors in the creative realm.